We offer a variety of homes across Swansea, Neath, Port Talbot and Llanelli. From large houses with multiple rooms to one bed student flats, we can find a property for everyone. We can assist you in any way possible - just contact us for more details on how we can help you find your dream home. We don’t believe that one size fits all, and that’s why we can find you your dream property tailored to your exact needs. If you have a pet, a growing family, or maybe you only want to rent for 3 months, we can find a home for you. Here at PB Property, we don’t offer people houses, we offer people homes. We offer you the best homes possible, and with the best homes come the best landlords. You will benefit from a personable and knowledgeable service that stems from our extensive experience in helping people find the best homes at the most affordable prices. All our houses are kept to the highest of standards, this includes making sure all of our houses are safe to inhabit. We do this by ensuring all our houses have the necessary certificates and pass all rules in place by local councils. 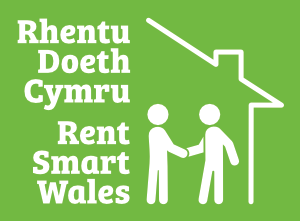 Renting through a lettings agent is a much safer practise than renting from someone you may not know. You can put your trust in us and we will be sure to maintain that trust by giving you peace of mind along with the best service possible. Without renting through an agency, you will subject yourself to the stress and hassle of having to take care of the entire process all by yourself. You may struggle in finding a reputable landlord who communicates with honesty and transparency and doesn’t try cutting any corners for their own financial gain. We can find you the ideal landlord and ensure that nothing ever gets lost in translation. You can choose a payment method most convenient for you. On top of that, we offer an out-of-hours service where you can report urgent issues, simply by calling 07973662675. In the unlikely event that you can’t get an answer, then you can leave a message and we will get back to you as soon as possible. Why rent in comparison to buying? Renting is a great long-term investment. With the ever growing population of the UK combined with the housing struggle, there always seems to be too many people and not enough houses, which in return makes renting extremely appealing. The reason for this is simply that many people cannot afford a house due to the high upfront payments. Renting allows you to steadily save up for a deposit. What’s more, you’re never tied in with any long-term commitments. If you buy a property then it’s yours to maintain. Also, if you buy a property then you may find yourself constantly worrying about fluctuating property market prices, so there’s a risk that you may not make a return on investment. We’ve invested heavily into our website to make your property search even easier. You can narrow your search using the search functions provided to find a property to rent at a specific rate, with a particular number of bedrooms and much more. Unlike most estate agents, who rely on their customers to constantly contact them reminding them of what property they are looking for, we do quite the opposite. Once you’ve contacted our office and provided us with your search criteria – location, preferred rental rate, property description, must haves etc. – we store this information on our database using specialised software. Then, whenever a property comes onto the market that matches your requirements, we instantly contact you via post, email or text message to update you with the most relevant and useful information.